Rochester Iron and Metal, located in Rochester, Indiana, is a family owned business serving the scrap industry for over fifty years. The company recognized an opportunity for a small shredder in their local market. They made a decision to purchase the Model 60 shredder, provided by Wendt Corp. Moench Engineering was contacted to manage the Rochester project due to our familiarity and experience with similar shredder installations. We were responsible for managing the details of the project including concept development, detail design, bid package preparation/analysis and construction observation. After interviewing the Owners to define the project expectations and criteria, we established baseline documentation for the overall project schedule and budget. The conceptual design effort included equipment arrangement on the site and the development of the other enclosures as required for the project. At the end of this phase we received acceptance from the Owners on the conceptual site arrangement and configuration. A detailed overall master project schedule, as well as a refined magnitude estimate, were prepared and updated based on the continued development of the project design. Construction documents were prepared and included, architectural, structural, electrical, mechanical and plumbing documentation. Moench Engineering also conducted a code review of all applicable building codes and construction ordinances. Our company also provided project management services during construction activities. This included conducting contractor coordination meetings, as required, during project construction. We also aided in the bid preparation, analysis, tabulation and recommendation for contract. 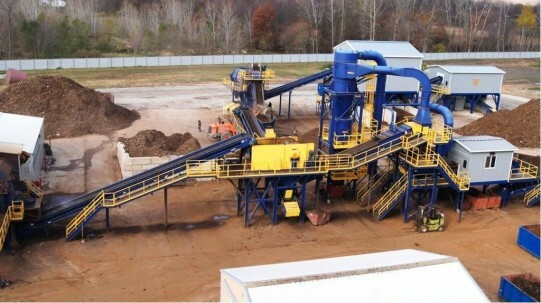 In April 2012 the Wendt Corp., Model 60 shredder was in full operation at the Rochester, Indiana site. Through Moench Engineering’s professional services, Rochester Iron & Metal was able to make their dream into reality. To read more about the installation of the Wendt Corp. Model 60 Shredder at Rochester Iron & Metal click here.